myCBSEguide provides CBSE Sample Papers for Class 11 Hindi Elective and guess papers for exam. Hindi sample paper for class 11. The new marking scheme and blue print for Hindi Elective class 11 have been released by CBSE. We are providing Hindi Elective sample papers for class 11 CBSE exams. The best sample papers for Hindi Elective class 11 now available for free download in our myCBSEguide app, best app for CBSE students. These are the latest Sample Paper for class 11 Hindi Elective as per the new exam pattern. Download the app today to get the latest and up-to-date study material. CBSE sample paper for class 11 Hindi Elective with questions and answers (solution). Download best sample papers for XI Hindi Elective CBSE annual exam with fully solved question papers. CBSE class 11th Hindi Elective sample paper gives an idea of question paper pattern and marking scheme. Class 11 Hindi Elective .The annual exam sample paper for Hindi Elective will comprise questions from all chapters given in CBSE class 11 NCERT text book. CBSE follows NCERT syllabus in class 11 exams. Class 11 Hindi Elective. We provide Hindi Elective sample paper with solution which Includes questions from all the chapters. New Delhi issues sample question papers for all major subjects. Class 11 Hindi Elective sample questions papers help students to prepare for exams well in advance. 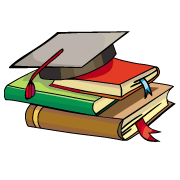 Student can download cbse sample papers for class 11 and practice the questions at home. Hindi Elective sample paper have questions from NCERT class 11 Hindi Elective book, NCERT help book, CBSE books for class 11 Hindi Elective and other text books prescribed by CBSE for class XI Hindi Elective exam. 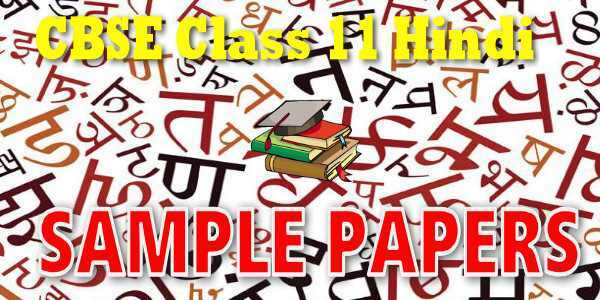 Sample paper for class 11 Hindi Elective and other subjects are available for download as PDF in app too. Note: The above information may change in course of time. Users are advised to correlate the same with latest CBSE sample paper for class 11 Hindi Elective. Download CBSE sample paper for class 11 Hindi Elective from myCBSEguide. Class 11 sample paper of Hindi Elective for exams are available for download in myCBSEguide app, the best app for CBSE students. (Published by NCERT)The list of other related books and manuals brought out by NCERT (consider multimedia also). CBSE conducts exam for CBSE students which will cover the whole book. In class XI, Accounting for Partnership Firms and Companies are to be taught as a compulsory part. Students will also be given an opportunity to understand further about Computerized Accounting System, as an optional course to Analysis of Financial Statements. पाठ-9 भारत वर्ष की उन्नति कैसे हो सकती है?